Prominent cross-markings and longitudinal striations. Large and abrundant parenchyma cells in the plant core. Thick walls with many cross-markings, dislocations and longitudinal striations. Blunt ends but also irregular because of the of the preparation method. 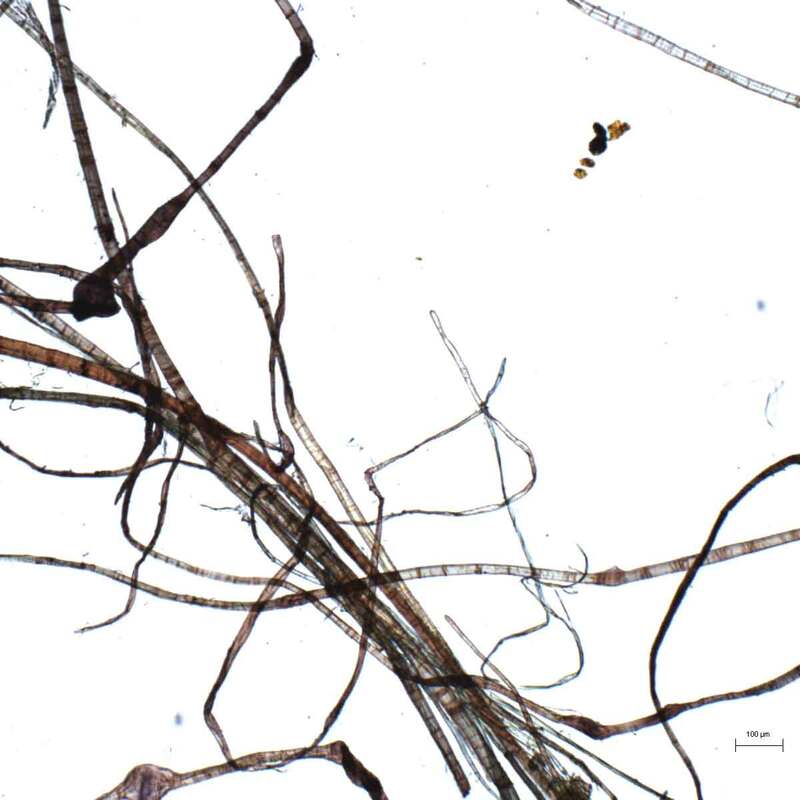 Fibers from textiles do not contain associated cells in general, while those from the raw materials contain vessels with craters, parenchyma and short fibers with holes. Hemp fibers generally are larger than those of flax. state fibers and fibrillation show if they come from rags. Purple yellow (bast) / dark purple (nucleus). Native or naturalized in Bhutan, India, and Sikkim, Central Asia. Cultivated throughout China, native or naturalized in Xinjiang. 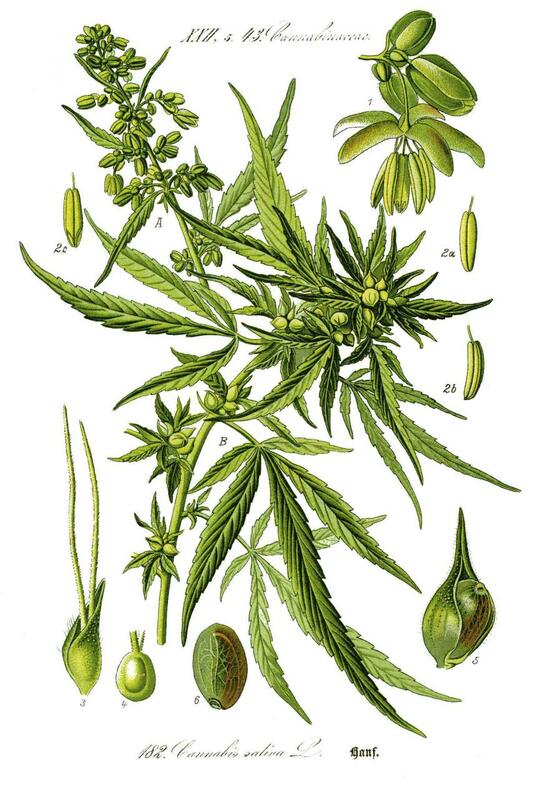 Cannabis sativa is probably originally native to Central Asia, but its long cultivation makes it difficult to know its exact original distribution. This long cultivation and human selection for different desirable characteristics has resulted in considerable variations, but separation into either several species or the recognition of several varieties is probably not justified beyond the level of cultivated forms. Hemp cultivation has accompanied human migration and conquest to spread over all continents. Currently it is cultivated in all warm temperate regions. Shikoku (Tokushima, Kochi prefectures), Province: Chūbu (Fukui prefecture). Annual plant up to 2m in height; very polymorphic plant, numerous breeds which quality varies with the weather, latitude, land. The plant is dioecious (two sexes), but there are monoecious varieties. The plant has been used for millennia as a source of fibres, for its seed oil, as food, as drug, as medicine; each part is harvested differently depending on its use. It gives rise to two cultures: one for oil and one for fibres. Culture for the fibres is made on fertile land during summer. 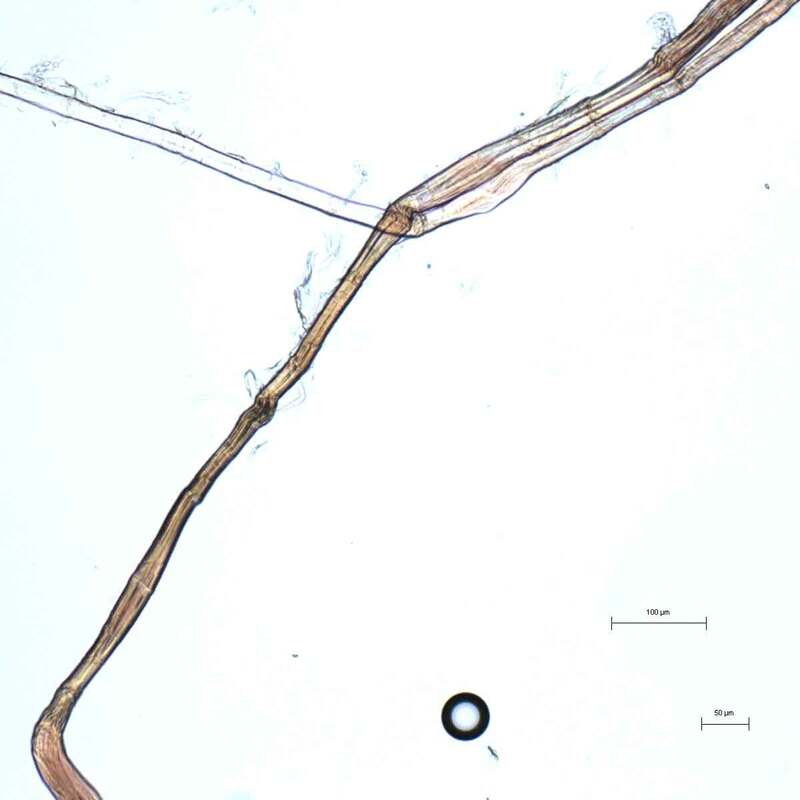 The fibres are derived from the peripheral part of the stem; plant must pass a rigorous preparation in order to recover them. The operation of retting is to place the stems in water for fermentation in order to eliminate the parenchyma surrounding the fibres. Then come the drying, crushing and beating operations to separate the long fibres. Hemp cultivation is probably one of the oldest and most durable in China. Hemp was grown all over China but particularly in the north. It probably evolved in northern China and was the first fibre plant to be cultivated. The oldest Chinese pharmacopeia book, "Bencao jing" or "Classic of Materia medica" (ca. 100 BC) mentioned that Taishan (Tai mount in Shandong province) was one of the oldest locations where hemp was grown in historical times. Hemp is the oldest plant to be used in making clothes before the use of cotton fibers in textiles from the Ming Dynasty (1368-1644). Hemp, flax, ramie, jute are called “ma” in old Chinese documents. The use of hemp as fiber in papermaking is the oldest and dates back to the Western Han (206 BC-8 AD). The first papers are made from either fibre cloths or raw bast fibres. The oldest paper fragments from the Western Han period, discovered in Minfeg (Xinjiang province) dated from the beginning of the third century BC, the fragments found in Baqiao (Shaanxi province) dated 140- 87 BC and the fragments found in 1934 in Lobnor, near Loulan (Xinjiang province) dated from the first century BC, were all made with hemp fibres. Other common papermaking materials were used such as paper mulberry and ramie in the Han period and later as rattan introduced in the 3rd century, but hemp remained the primary material for paper manufacture. During the Tang period (618-907), hemp paper is considered as the best for calligraphy, bookbinding and official documents (including at Imperial Court’s) because it is light, strong and waterproof. The use of hemp in paper making declined after the Tang period and was replaced progressively by ramie and bamboo. In Japan hemp plays a part in many rituals and stories since it is traditionally associated with purity and plays a symbolic role in the customs of the courtship. Hemp as paper fiber is introduced to Japan via Korea at the end of the 6th century. Papers made from hemp fibers are called mashi. The period from the 6th to the 12th century is marked by a centralized authority on the Chinese model which provokes the production of numerous documents. Hemp, gampi and kozo fibers are used in the manufacture of paper often in combination; however hemp fibers are the most popular and they are the most used during the Nara period (710-794). One of the first texts to be printed upon paper in the world, the one million prayers “Dharani” from Empress Shotoku about 770 is composed of hemp. Since the Heian period (794-1185), hemp will fall out of favour and replaced by gampi and kozo, easier to implement. In Korea, papermaking started no long after its birth in China; its origins are purported to fall somewhere between the third century and the end of the sixth century. The first Korean papermakers used materials and technologies similar to those of the Chinese which include hemp and ramie scraps and paper mulberry. During the three kingdoms (Goguryo, Baekje and Silla : 18 B.C. - 668 A.D.) paper is made from hemp (ma ji) and paper mulberry (jo ji). The paper made from hemp in Goguryo (37 BC-668 AD) was famous for its white color and smooth surface. Goryo dynasty (918-1392) encouraged the cultivation of paper mulberry trees and private papermaking industry from 1145, to meet the growing demand for paper thanks to the publication and export of the complete collection of Buddhist sutras. So, hemp use in papermaking declined. Under the Joeseon kingdom (1392-1910) in the early 15th century when lack of raw materials began to be felt, Korean papermakers are shipped to China to learn new techniques and the use of other raw materials to replace the paper mulberry fibers. 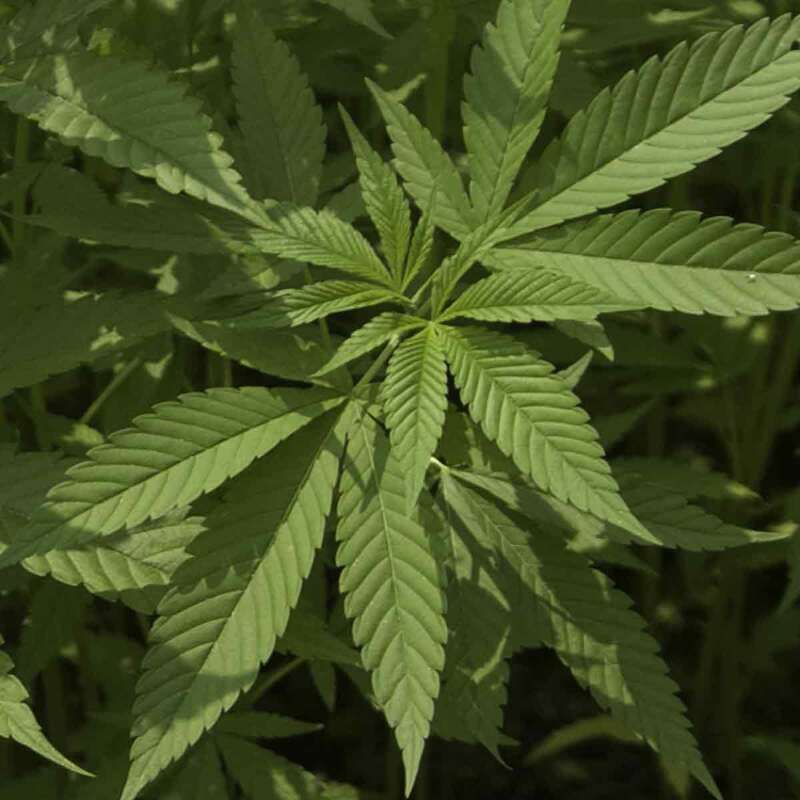 These paper makers will reintroduce the use of hemp mixed with mulberry fibers. Cleaned fabric wastes are soaked in water in stone mortars. Then they are soaked or cooked in alcaline solution for one day. Finally they are crushed in a mortar or a grinder. Stems are harvested in late summer or autumn. They are either retted or steamed until the fibers are free. Then, the operation is followed by an alcaline cooking for 2 hours. The pulp is grinded ou beaten. The sheet is obtained by bailing. Waste fabrics are soaked in water and then shredded into small pieces before being crushed in a grinder. The pulp is steamed, rinsed with water before being crushed again. The pulp is poured into the vat and the sheet is formed on a fixed mold. Drying and bleaching are performed inside the mold. In Asia and particularly in China, Korea and Japan, the papers are intended for a wide range of use: Papers for calligraphy and art, Papers for ceremonies, Paper as a medium of exchange, money paper, Papers for making clothes, wall hangings and bedding, Papers for architecture, interior design, Papers for crafts of various kinds, for domestic purposes and leisure. The names assigned to the paper refers to different notions: The material used, The place of production, The method of production, Appearance, Dimensions, Use, The name of an artist or a studio etc. Attention to some confusion: in China and Japan, the papers called "hemp paper" "ma zhi" may be made ​​from hemp, linen, ramie or jute.